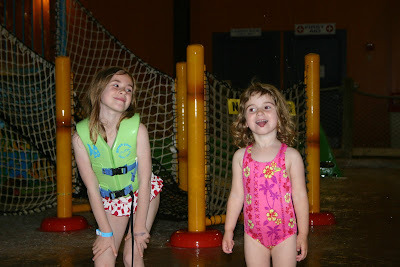 http://www.blogger.com/html?blogID=1755139666841541603 about a dream: water park!! the green dot in this photo is nina's life jacket. 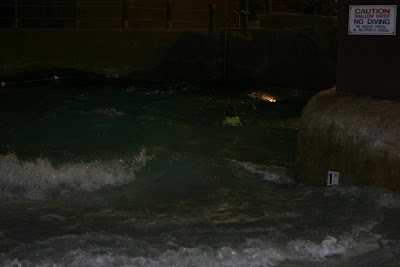 she was swimming in the wave pool. she loved the wave pool! and it was really, really cool. all the fun of being at the beach, none of the sand or stinging jellyfish. this is how maggie spent half of her time. she was pretty hot and cold on the whole water park thing. she loved the hot tub, and liked the wave pool and kiddy area. 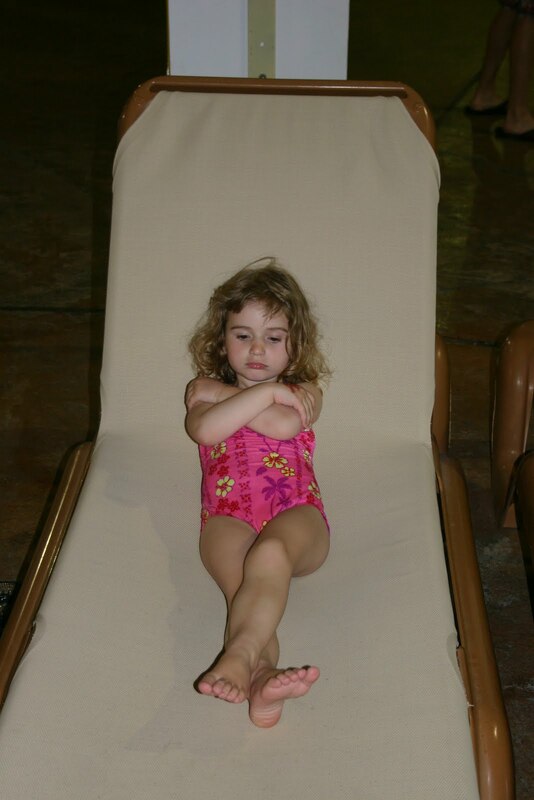 but then she's decide she wanted to go back to the hotel room, so she's sit on the lounge chairs and pout. but they did have fun! and so did nick and i. we had to take turns going down the big slides, but in spite of that, and my injury, we got in quite a few runs. their tube slides were a blast! Wow, is Nina in the wave pool in the evening in that first picture? Love the picture of Maggie pouting! Neat pix! Ditto Vanessa's comment about Maggie pouting. What injury, Des?